I wish this weather would sort itself out here in the UK. However it has not stopped me from working on my summer collection so I thought I would share a sneak peak! 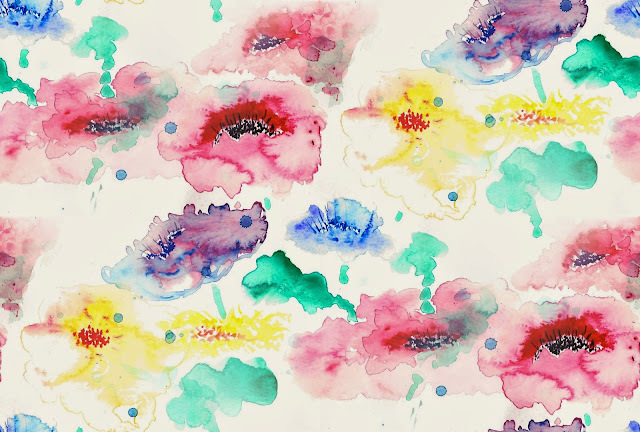 My 'Summer Meadow' watercolour fabric design will be made into limited edition cushions. I wanted to create a watery but colourful painting. Beautiful, I love the watery effect, so,soft and pretty. Thank you Maureen. It's always lovely to get compliments on my work. Have a lovely week end!